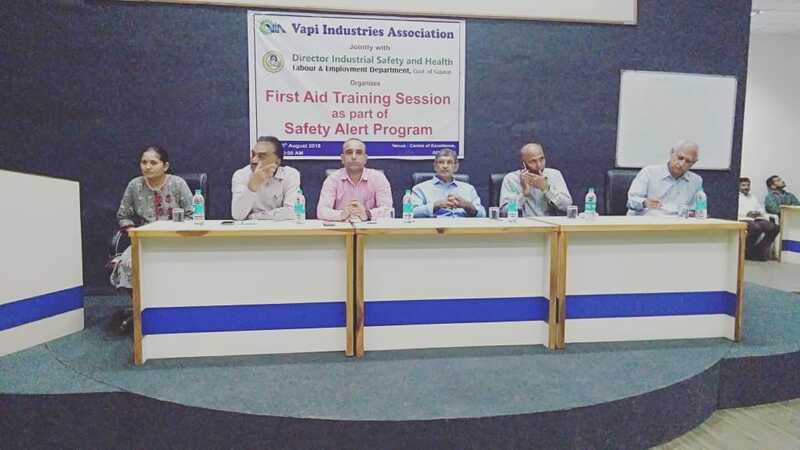 Vapi Industries Association (VIA) has always taken utmost care in maintaining safety at its Industries members units and in the estate. VIA has organized Awareness & Interactive Sessions, Training Programs to create safety awareness. 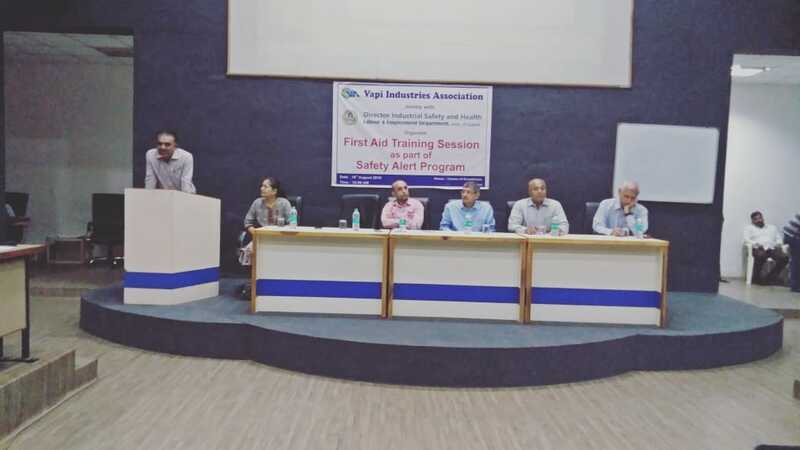 In continuation to this effort VIA has now started a regular event named Safety Alert to create further awareness and training on Safety & Industrial Health. The 2nd Edition of the Safety Alert program was on First Aid Training to the Industrial Workers and Employees of the Estate. 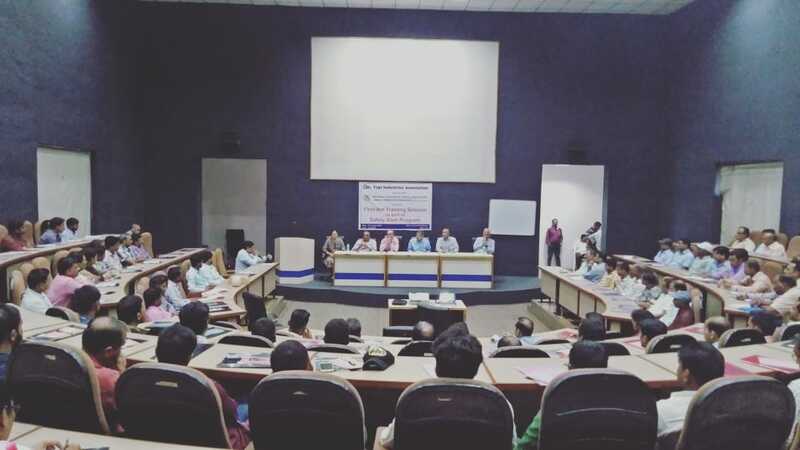 The First Aid Training Session was organized jointly with the Directorate of Industrial Safety & Health, Valsad on 16th August 2018 at the Conference Hall of Center of Excellence, Vapi. The First Aid training was given by Dr. Jagdish D Shah of Navsari. Inauguration of the training session was done by Shri Prakash Bhadra, President, VIA, Shri Satish Patel, Hon. Secretary, VIA, Shri Hemang Naik, Jt. Secretary, VIA, Shri Rajneesh Anand, Chairman, VECC Committee, VIA, Shri D M Acharya, Asst. Director, DISH, Valsad, Smt. Jagruti Chouhan, Asst. 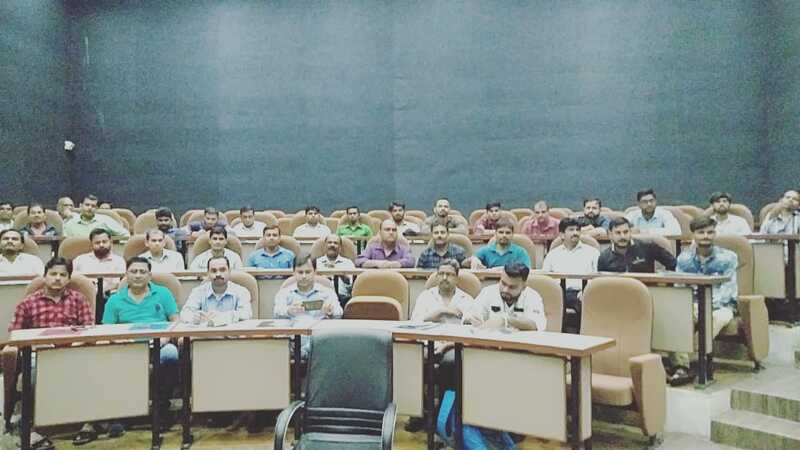 Director, DISH, Valsad in presence of Officers of DISH, Valsad, Members of VIA and participants of the First Aid Training Session. During their Speech, Shri Prakash Bhadra and Shri rajneesh Anand explained the need and importance of First Aid at the time of an accident. Over 100 industrial workers and employees from the Industries Members of the Estate.